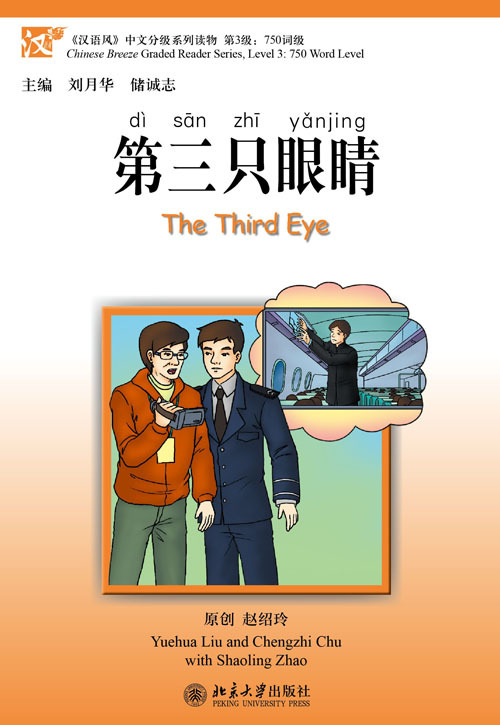 The Third Eye is in the third level of Chinese Breeze which contains approximately 750 words. Description of the book: In just two months, five customers had large amounts of money stolen while on flights! Such cases became a headache for the cops. Harried and frustrated for a while, they found a clue while screening the names and ID numbers of all the customers. One day, when the thief showed up again on the airplane, a cop quietly followed. The cop sat there nonchalantly with his “third eye” watching and waiting for the fish to bite.